Since renewing this Newsletter, we now provide a summary in English. We are pleased to deliver this 4th summary. "Special Article 1" reports comprehensively on "APRICOT-APAN 2015" which was successfully held in Fukuoka, JAPAN from late February to early March. APRICOT (Asia Pacific Regional Internet Conference on Operational Technologies) is the one-of-a-kind regional annual event covering the Internet industry that began in 1996. The event was held in Japan for the first time in 2005. The most recent APRICOT conference featured APAN (Asia-Pacific Advanced Network), which was held as a joint conference to attract a greater variety of programs and participants. The success of APRICOT-APAN was made possible through the collective efforts of numerous people working in the background. This corner also highlights the background of APRICOT-APAN 2015. 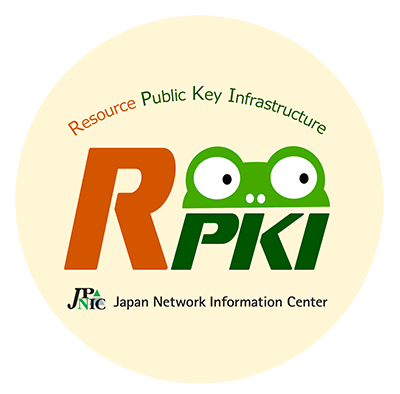 "Special Article 2" covers the RPKI (Resource Public-Key Infrastructure) system recently released as a pilot service by JPNIC in March with its mascot character “Keiro-chan”. RPKI is a PKI for certifying allocation/assignment of Internet number resources to help secure Internet Routing. It is expected that network operators can reduce mis-originated routes in BGP by using the RPKI system. "Keiro" means "Route" in Japanese and also is very similar to the sound a frog makes when croaking. So we named it "Keiro-chan" in a friendly manner. The mascot of APNIC's RPKI system, by the way, is a lion because it "roars". The sounds of "roar" and the pronunciation of ROA (Route Origin Authorization) are the same. "A Scene on the Internet History" focuses on the untold story of PGP Public Key Server (PKS) in Japan. It was the author of this article, Hironobu Suzuki, who first launched the PGP PKS as a service in Japan in April 1994. In 1998 it began operating as “pgp.nic.ad.jp” under JPNIC. This article covers his efforts and the support of those around him from then until now. Each edition of "Introducing JPNIC Member" focuses on a JPNIC member conducting interesting activities. This time we introduce Hokkaido Telecommunication Network (HOTnet). HOTnet is a telecommunications carrier that serves the entire Hokkaido Area. In recent years, HOTnet began providing a large variety of cloud-computing services for enterprises not only in Hokkaido but all over Japan. Hokkaido accounts for a vast area of Japan's land mass, about one-fifth of the entire country, but its population is only about 500 million people. Our interview touches on their struggle to expand infrastructure in a location where wide population dispersion as well as the strategies that take advantage of Hokkaido's spirit. ● JPNIC’s RPKI mascot "Keiro-chan"
"Internet terms in ten minutes" takes a look at "Current application status and statistics of new gTLDs". The new gTLD program of ICANN started in 2012 to increase competition and choice in the domain name space. More than 500 new gTLDs have already been delegated since then. Issue 60 further covers the JPNIC General Meeting, ICANN 52 Meeting, APNIC 39 Conference, and the IETF 92 meetings with detailed reports and statistics published by JPNIC. We do hope these articles prove useful to a lot of readers. If you have any questions or feedback, please feel free to contact us at jpnic-news@nic.ad.jp. Your input is always highly appreciated.